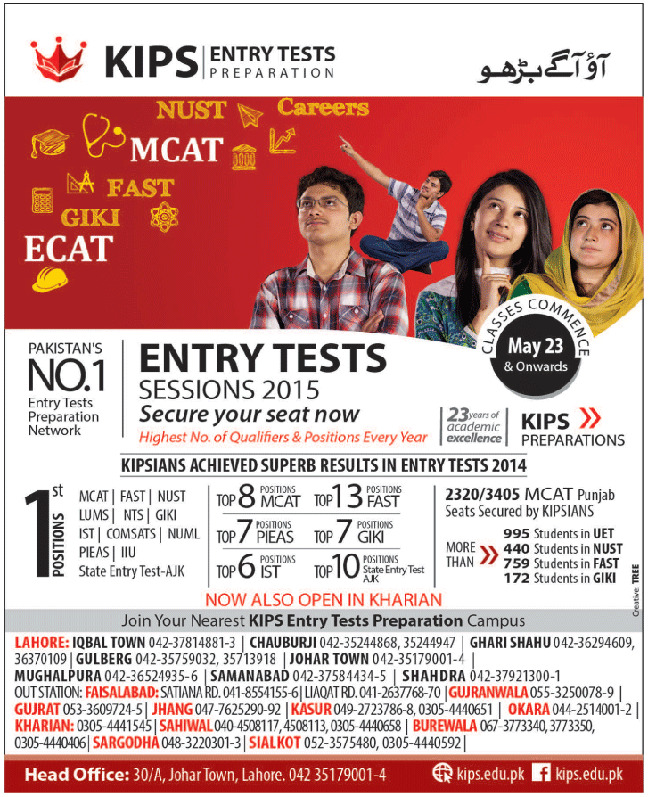 KIPS Entry Tests Preparation!KIPS is one of the most elegant and most advance test preparation institute in Pakistan and one and only standardized education provider.This institute offer different fields of preparation like FAST,MCAT,GIKI,ECAT,NUST,CAREERS.Now KIPS offers Entry tests admission for session 2015.Classes will be start from 23 May and onward.For more detail about the tests preparation see the ad given below. 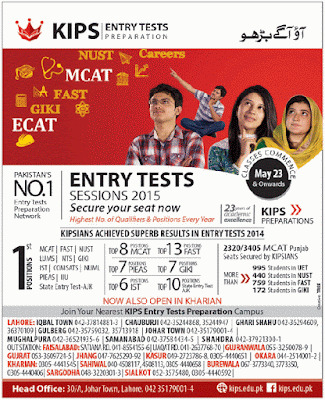 Visit your nearest KIPS campus. New campus open in Kharian Gujrat,Pakistan. Highest number of qualifiers and positions every year.